Periodontal diseases are infections of the structures around the teeth. 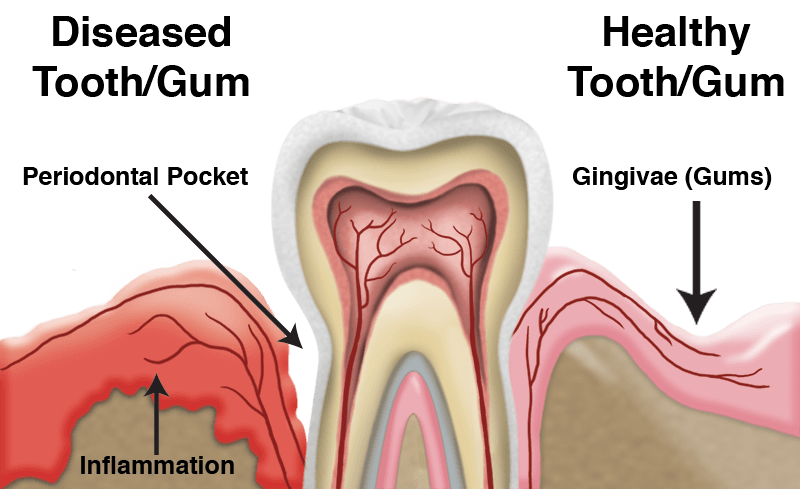 These include the gums, the cementum that covers the root, the periodontal ligament and the alveolar bone. In the earliest stage of periodontal disease, gingivitis, the infection affects only the gums.